How Long Does It Take to Install a Modular Building? 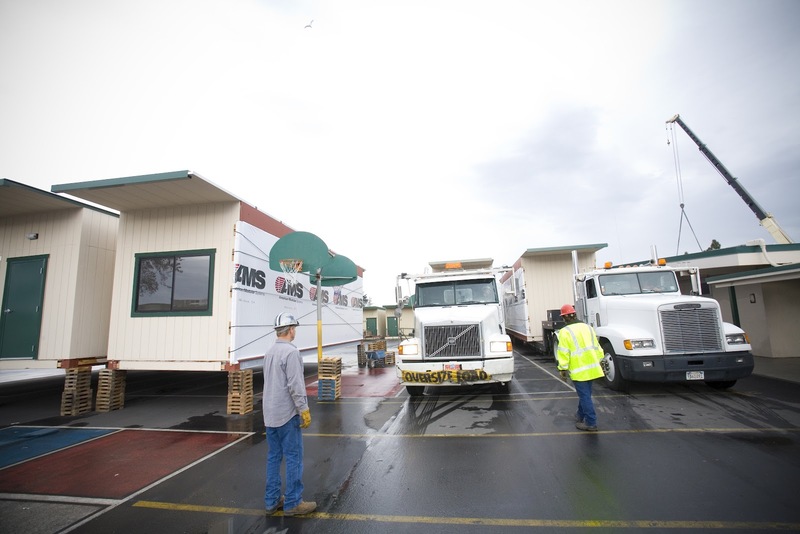 Modular building delivery and installation is fast! How long does modular construction take? It can take as little as a few days to install a modular building - or a few months for the turnkey modular construction process depending upon the size and scope of work. Either way, modular construction is fast. 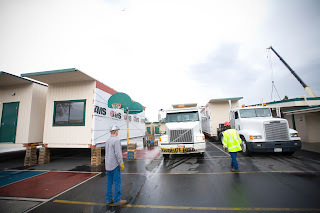 One of the most common questions we get in the modular building industry is about the time it takes to deliver and install a used modular building or portable classroom. Understandably so - when most people looking for temporary space usually need it in a hurry. But how to plan for a modular building is super important. Depending upon the size and scope of work and assuming that a supplier has the floor plan available for sale or rent, modular building construction can take one day, one week, one month or longer. For example, a standard 24' x 60' modular classroom can be delivered and installed in one day if the resources are available and the site is ready and close to the supplier. A much larger 60' x 60' prefab structure consists of more pieces (or "sections" as we call them in the business) - this amounts to more transportation time, more labor and more materials for close up. All of which can command a week long installation schedule. 1. Be sure you have permits first. Visit your local building and safety department for details. 2. More space requires more time for the supplier to prepare, deliver and install. 3. Weather can delay installation for hours or days. 4. A level site with easy access is ideal for quick installation. 5. Utilities need to be ready for connection by licensed contractors. 6. Setting up a handicap ramp and stairs for access will require additional labor and time on site. 7. The set up contractor will need to close up the building at the roof, end walls and floor. This involves connecting electrical, mechanical ducting, hanging ceiling tiles, seeming carpet and wall finish materials and clean up. 8. Furnishings - always add time to the schedule for furniture delivery and set up. This is often overlooked. For more information or assistance planning your modular project feel free to email info@imodular.com or use our free pricing and assistance form online. This post was approved by the Senior Editor of www.imodular.com, a GBM Marketing, Inc. web property. 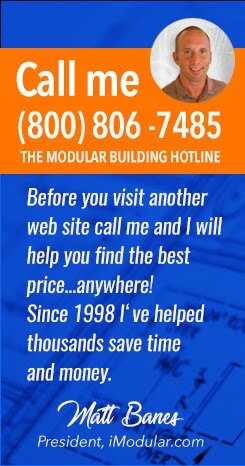 Contact iModular - Ask An Expert Today! 2018-2020 All rights reserved, GBM Marketing, Inc. Powered by Blogger.